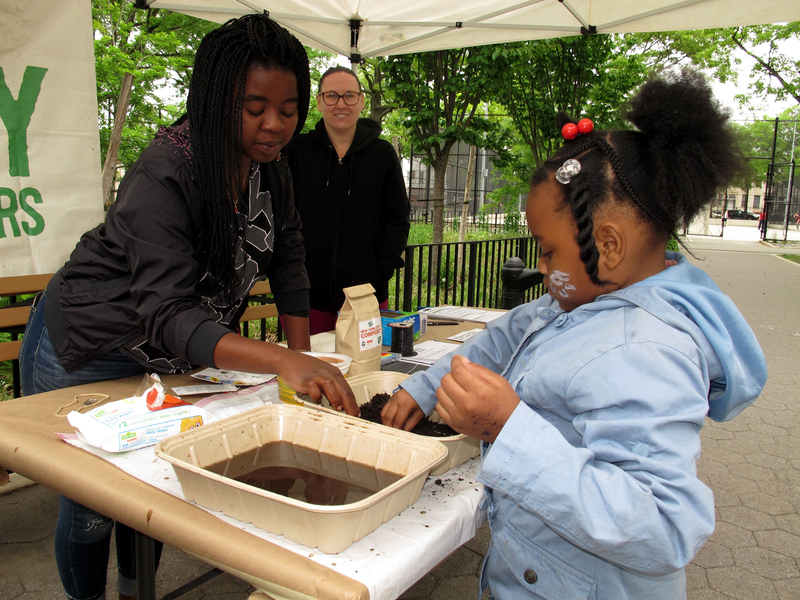 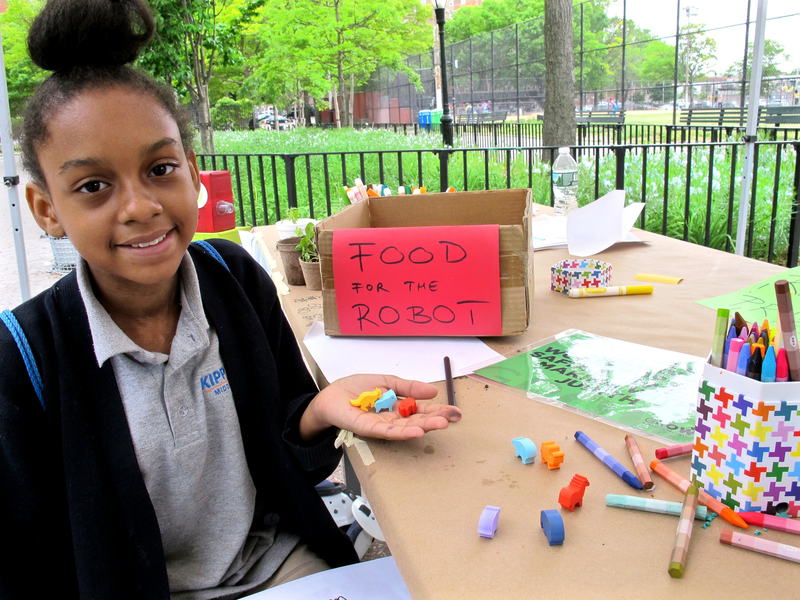 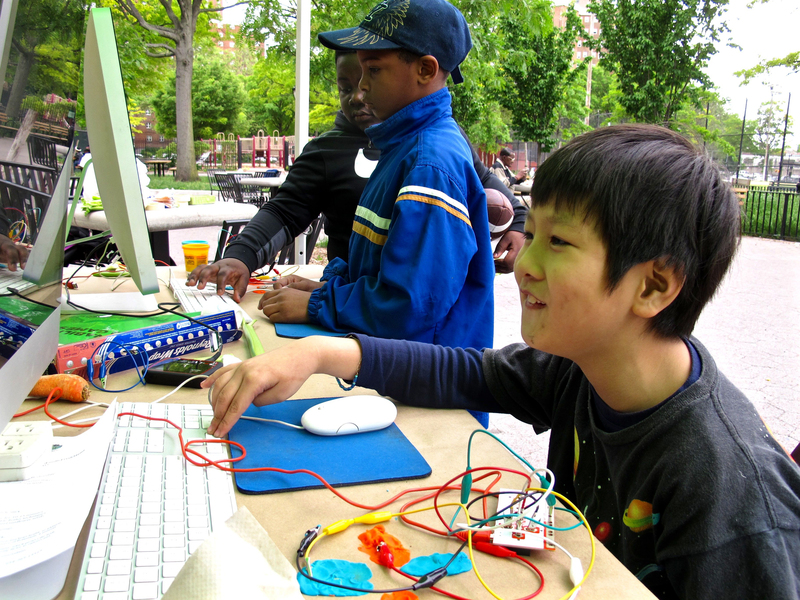 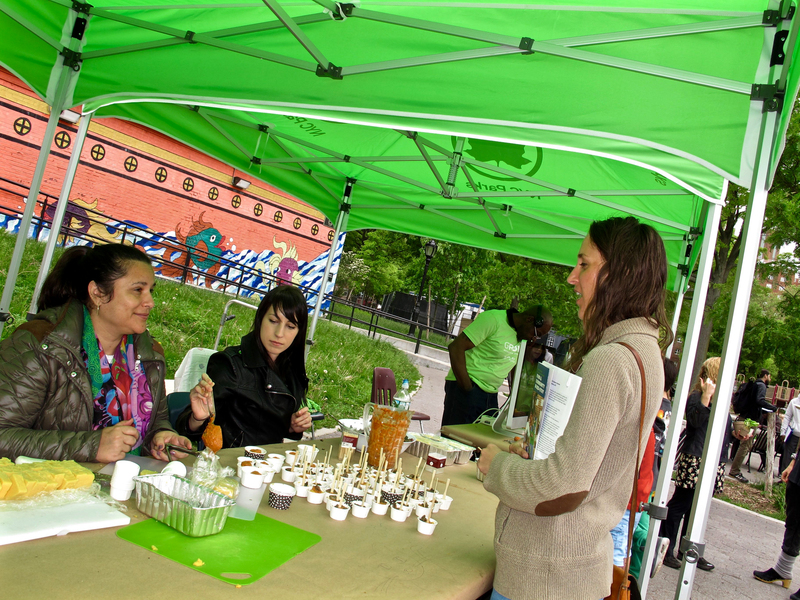 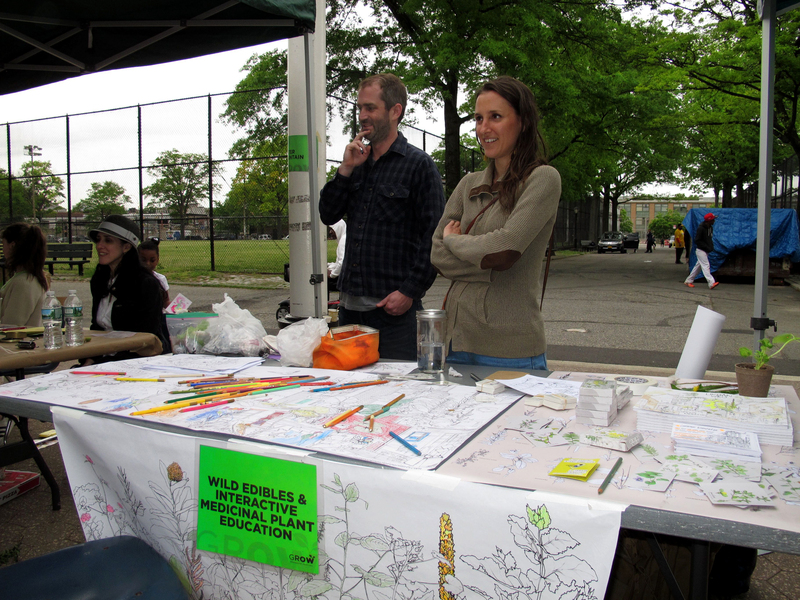 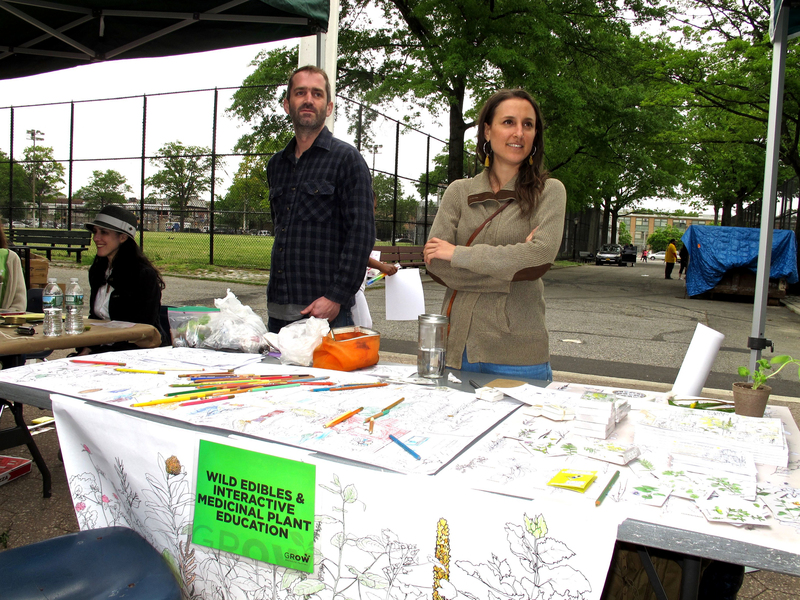 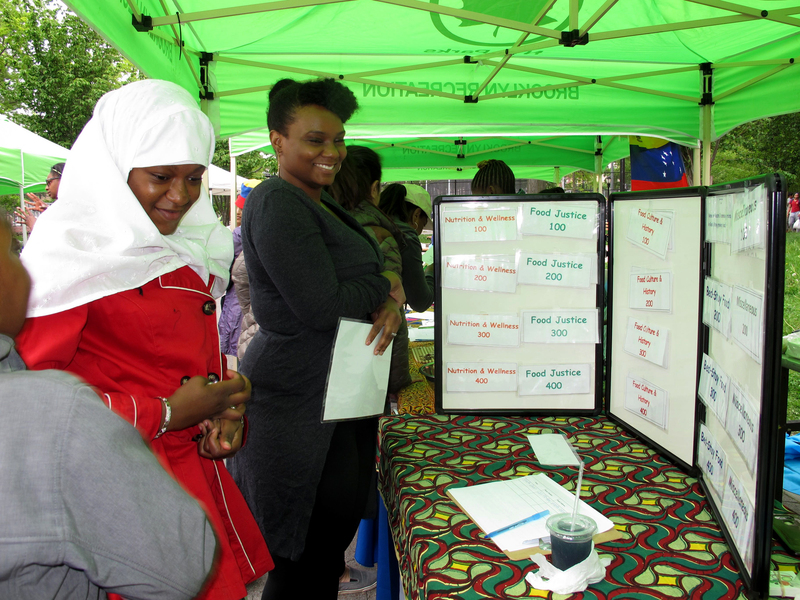 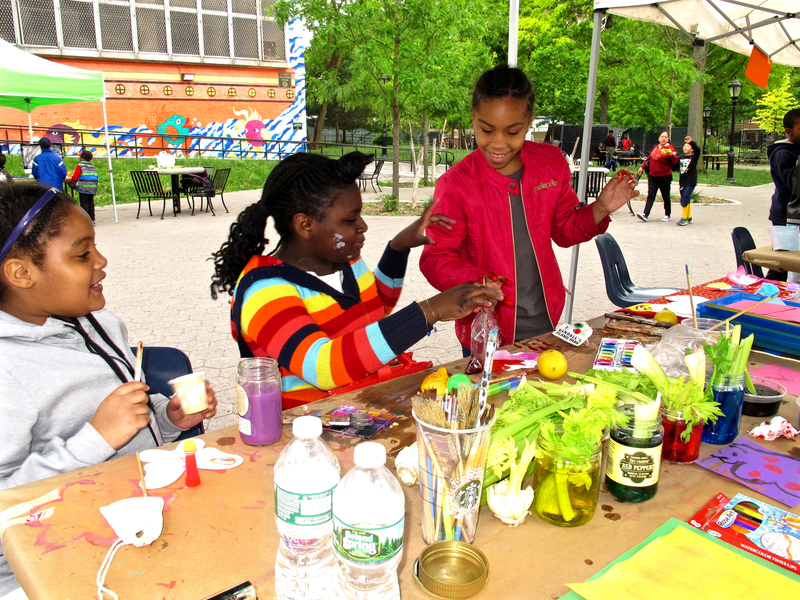 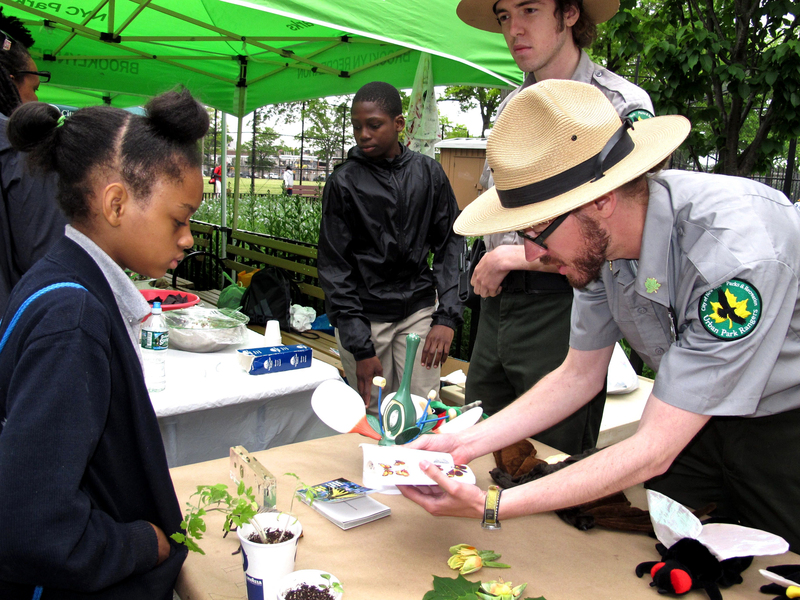 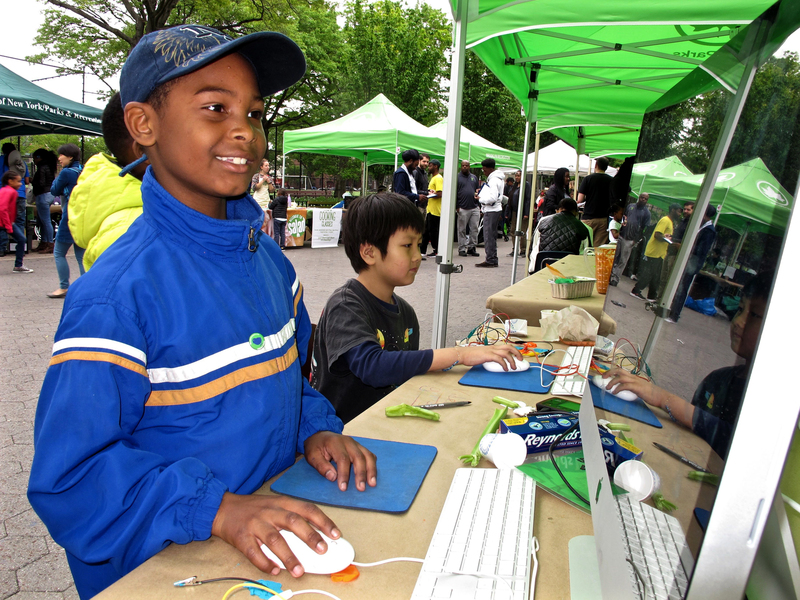 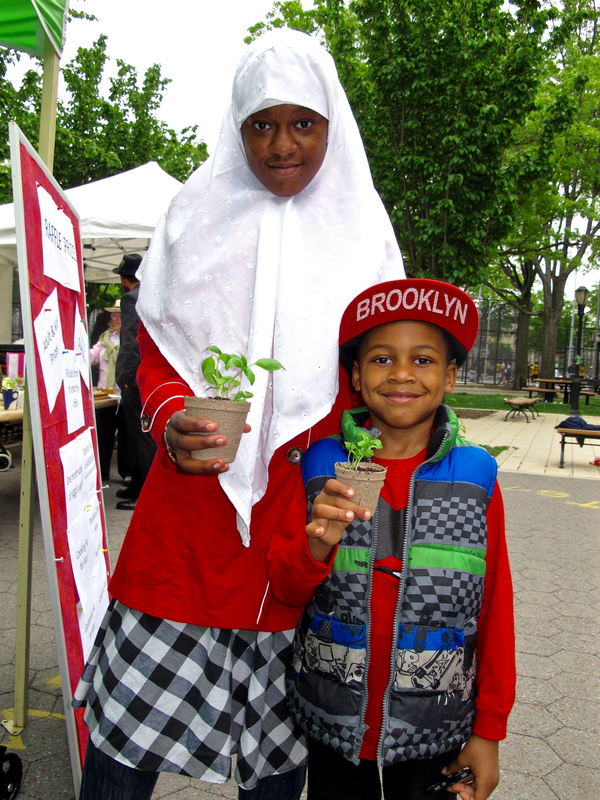 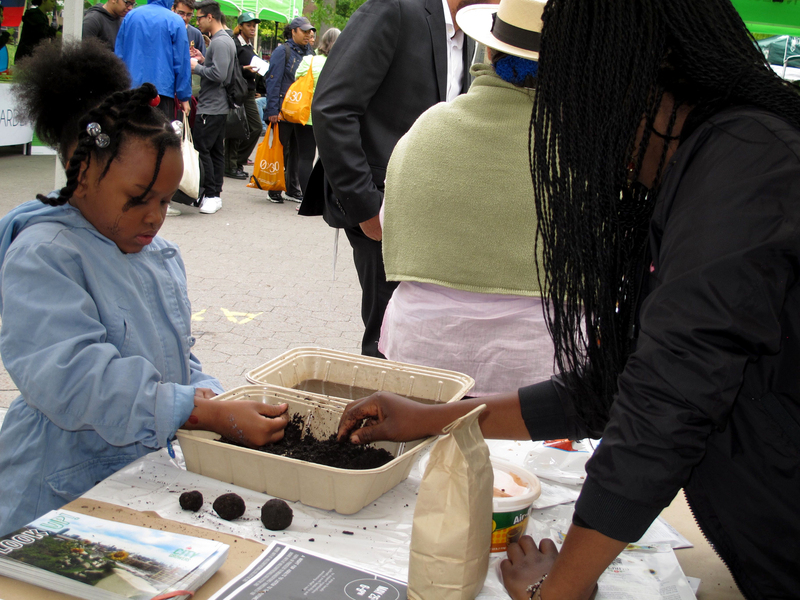 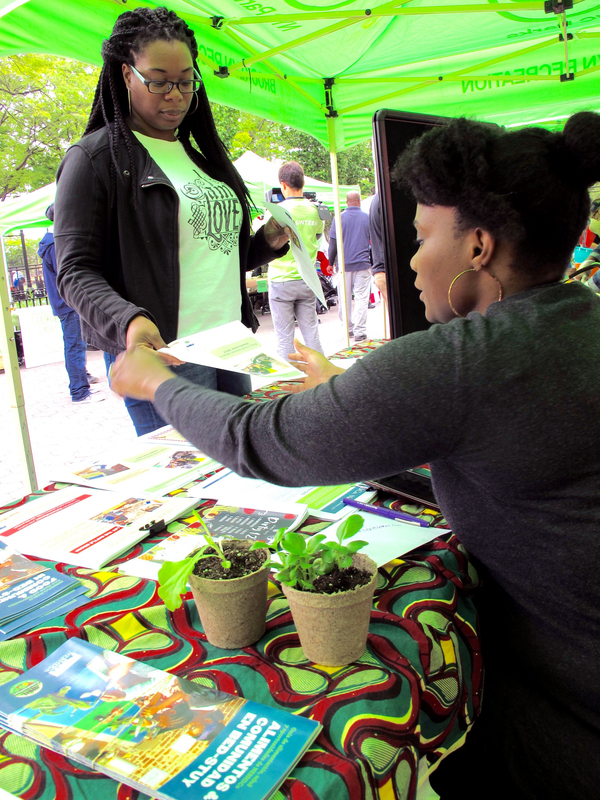 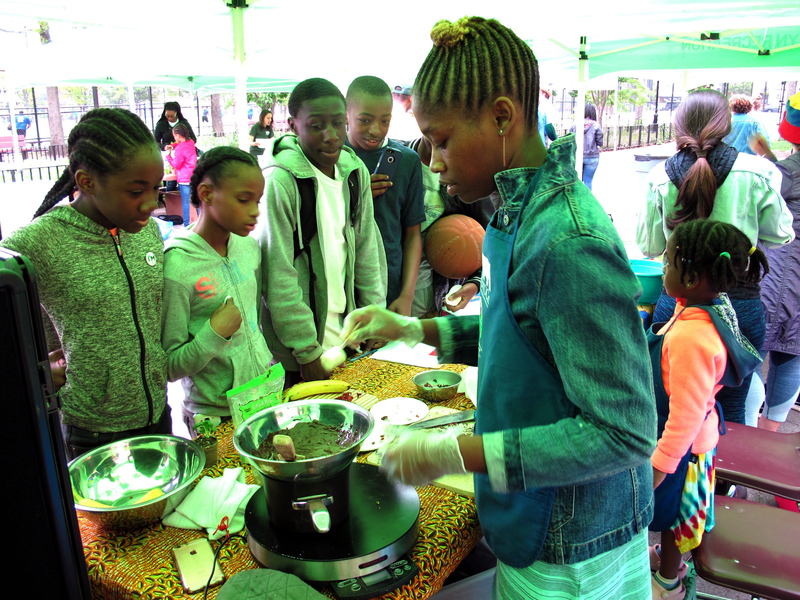 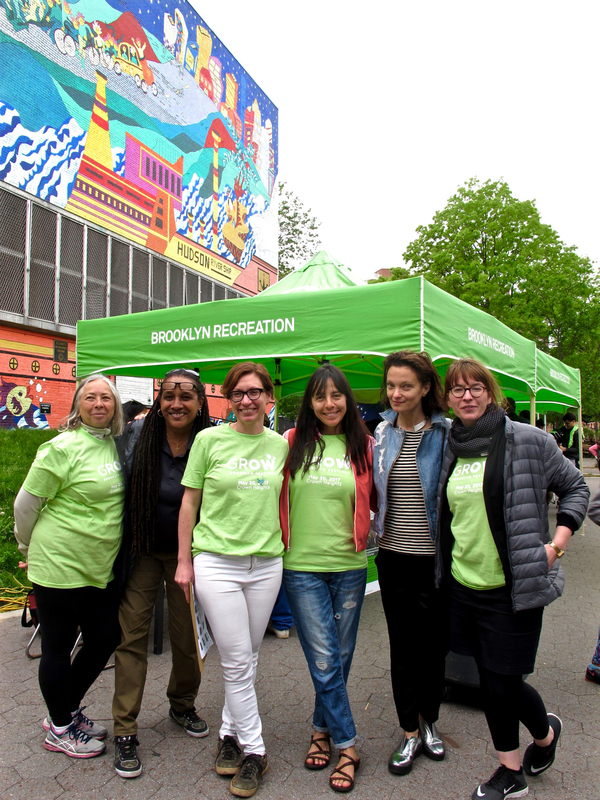 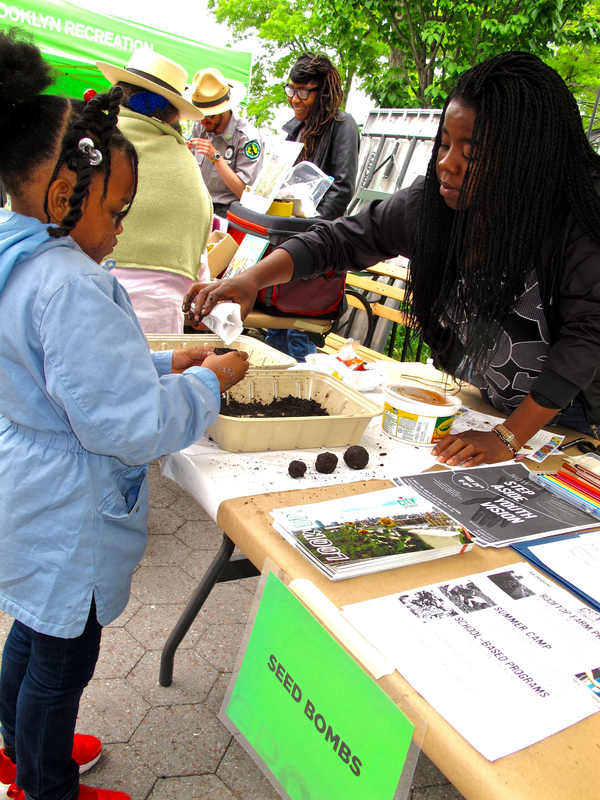 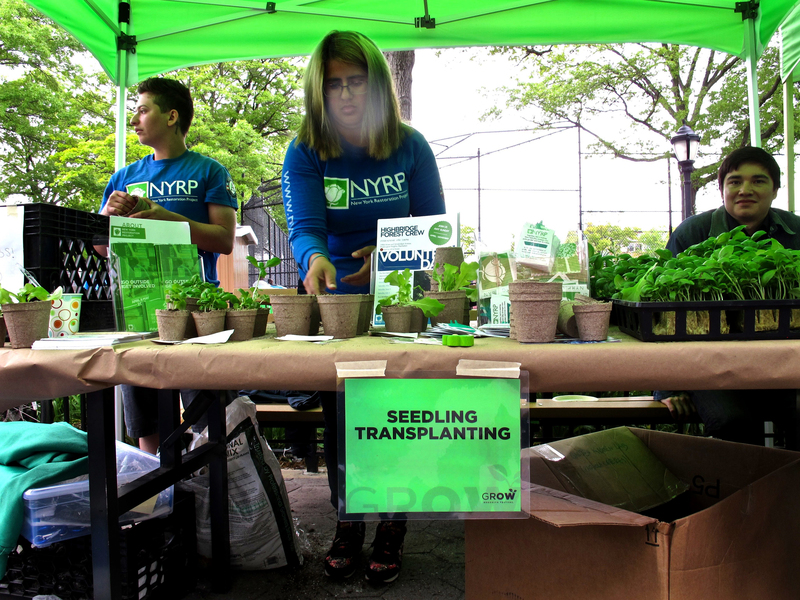 The Friends of Garden Kitchen Lab were honored to host the second “GROW Brooklyn Festival” on Saturday, May 20th, 2017 at the St. John’s Recreation Center in Crown Heights, Brooklyn. 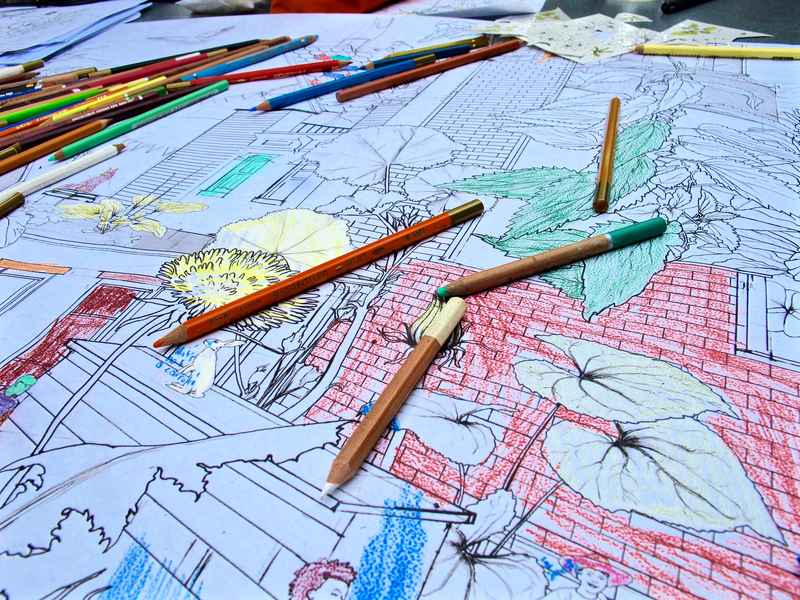 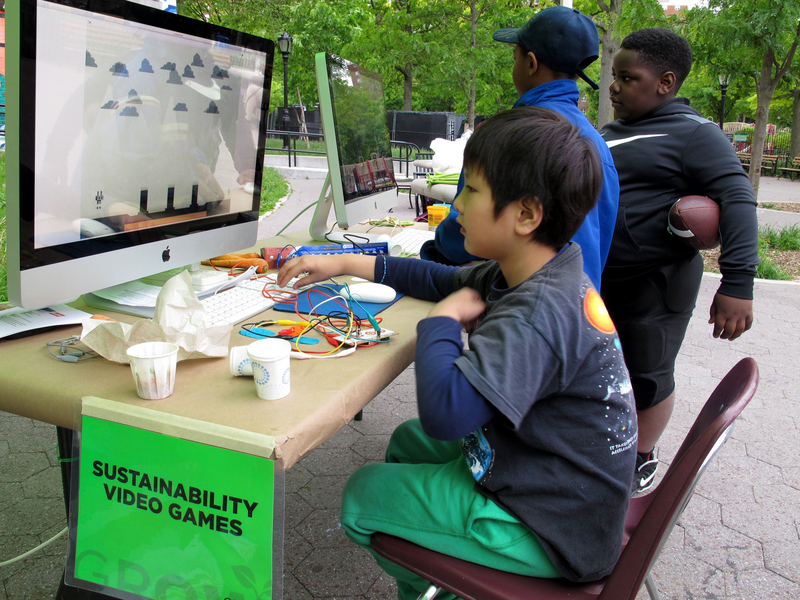 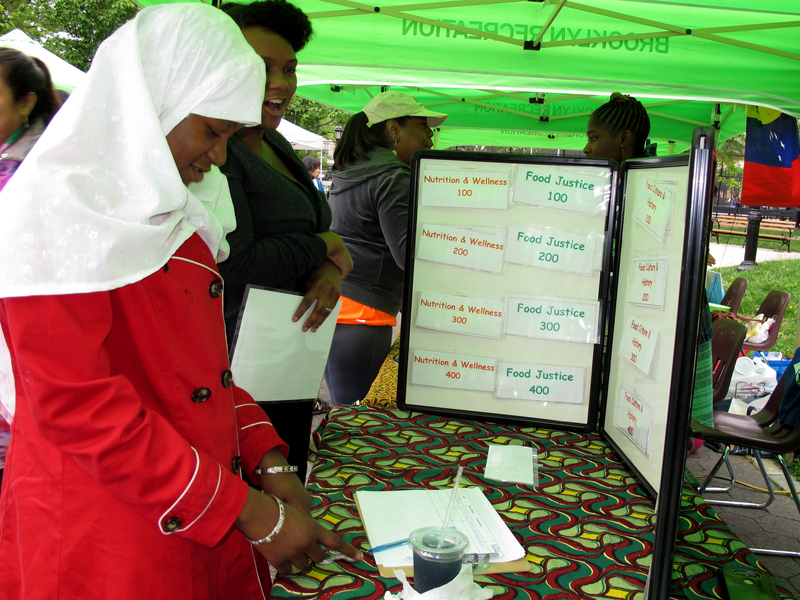 We were delighted to receive 19 different local organizations who offered engaging interactive activities for the community. 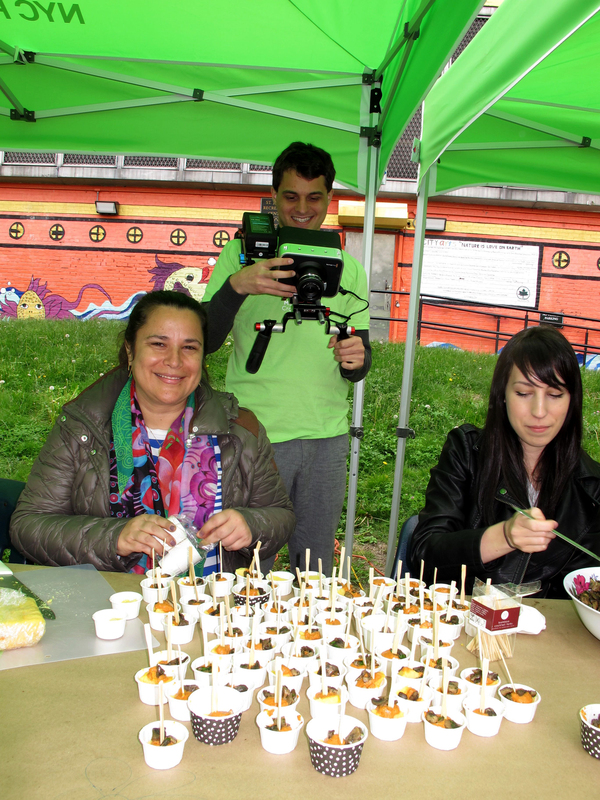 This year’s theme was Diversity Through Food. 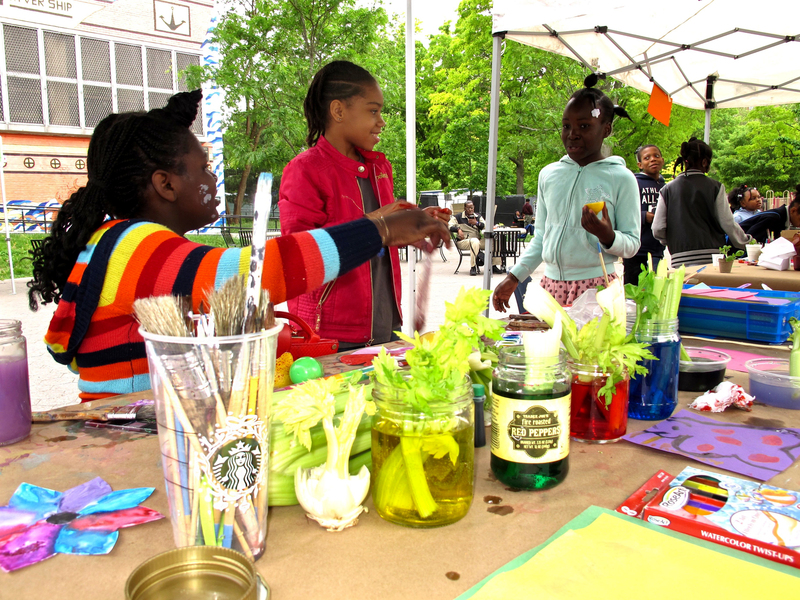 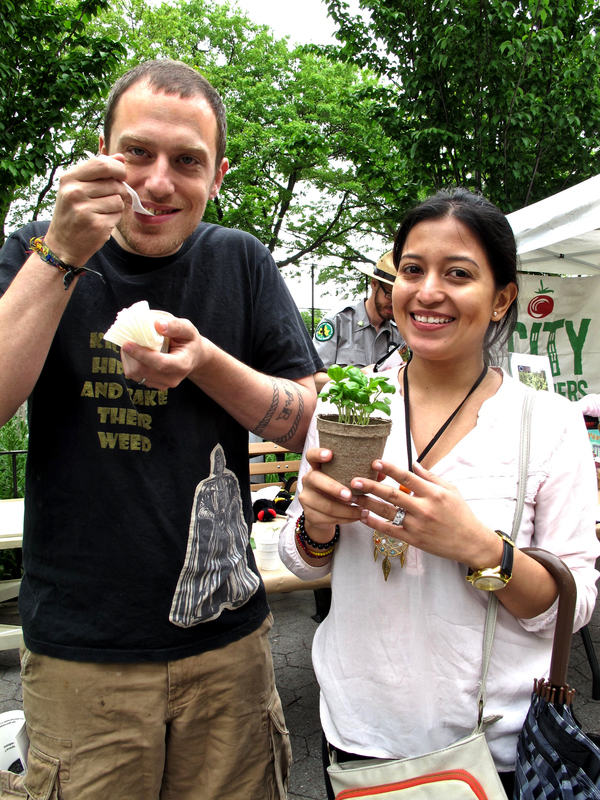 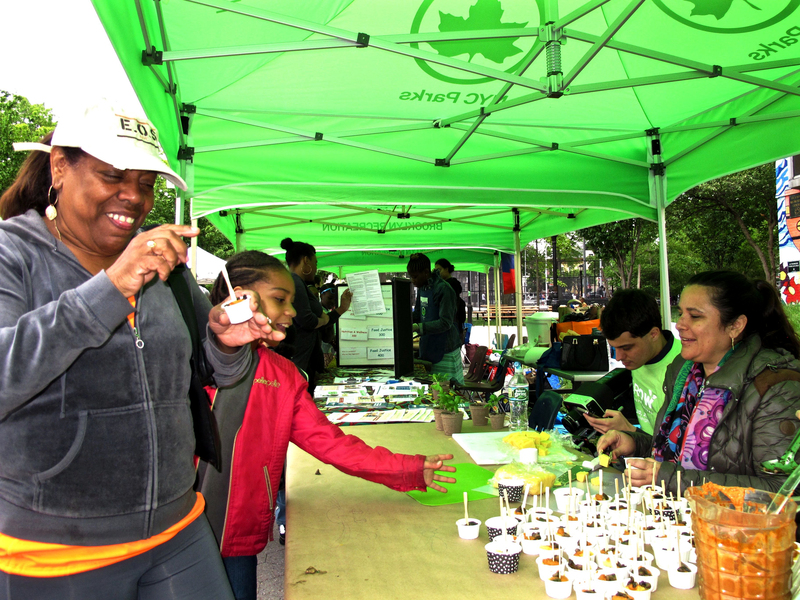 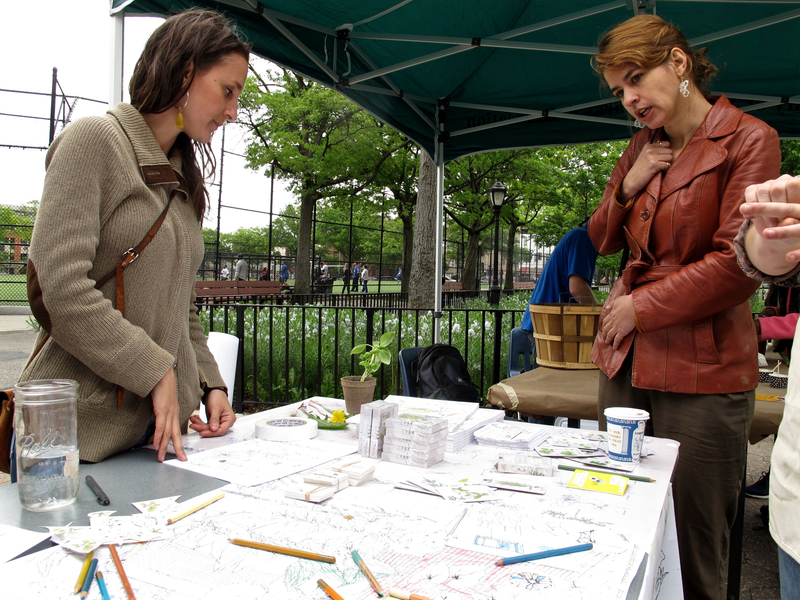 A fun-filled urban agriculture festival to encourage everyone to embrace the garden-to-kitchen movement promoting cultural diversity through cuisine. 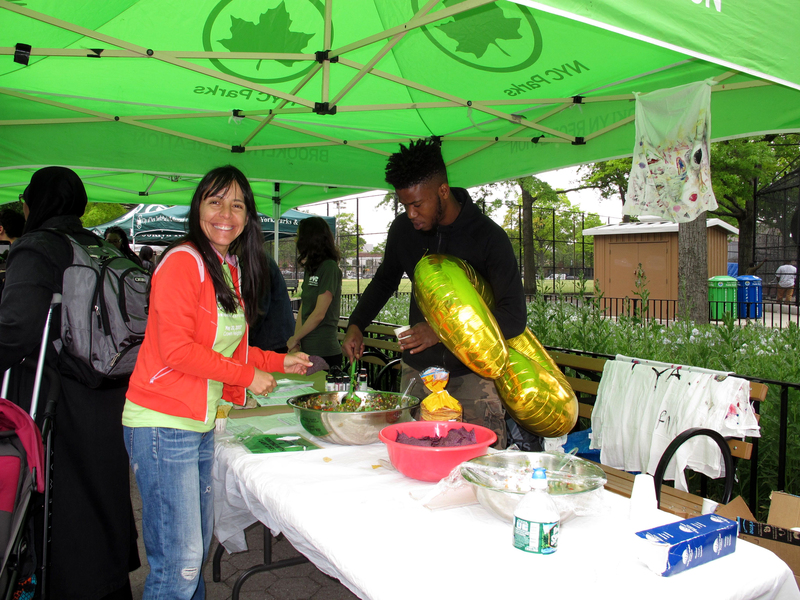 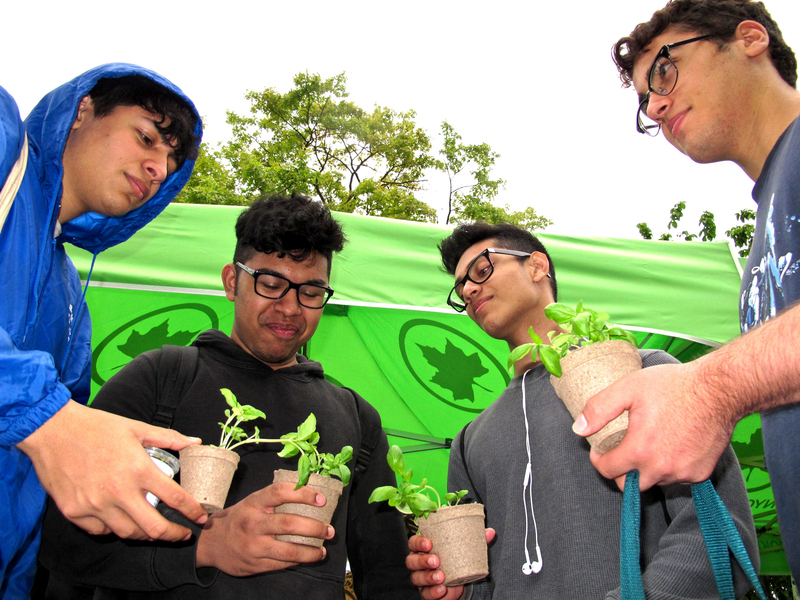 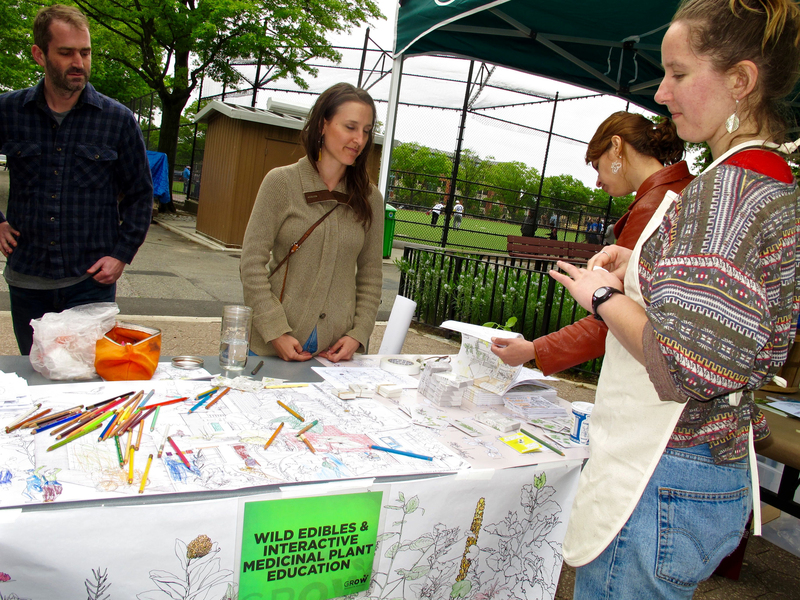 From taking seeds, seedlings and learning how to compost; to learn how to make a Venezuelan plantain bread and an Afghani veggie spring roll and tasting; to learn how to make an affordable vertical garden; or learn how to recognize local wild edibles, the community responded positively. 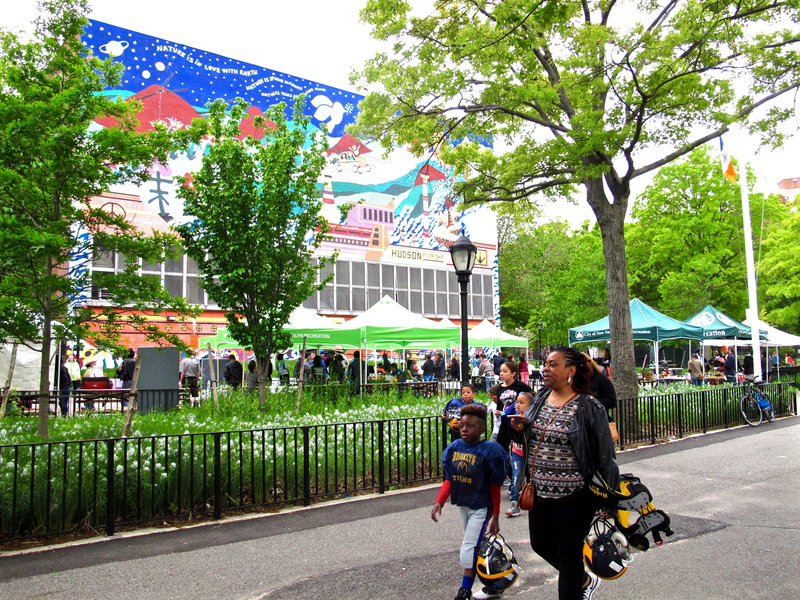 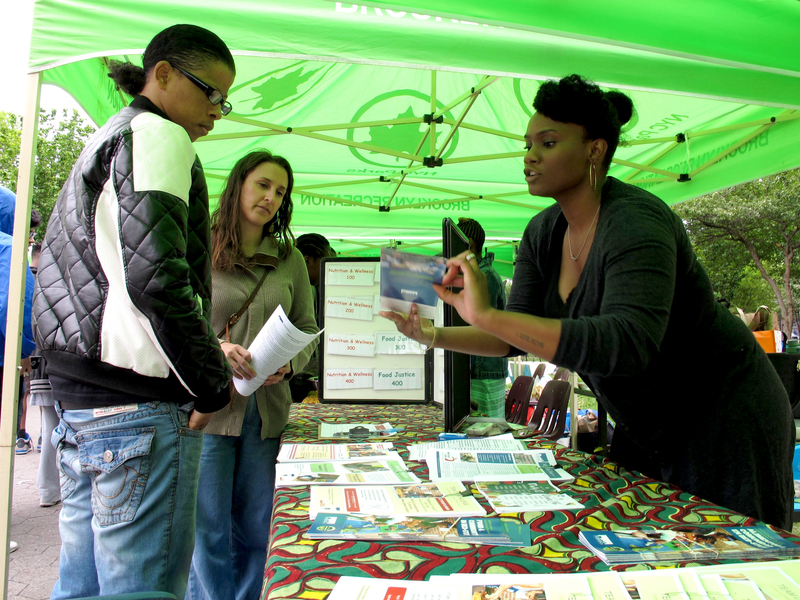 Approximately 300 visitors – children, families and seniors from the vicinity and from other areas in Brooklyn attended the event. 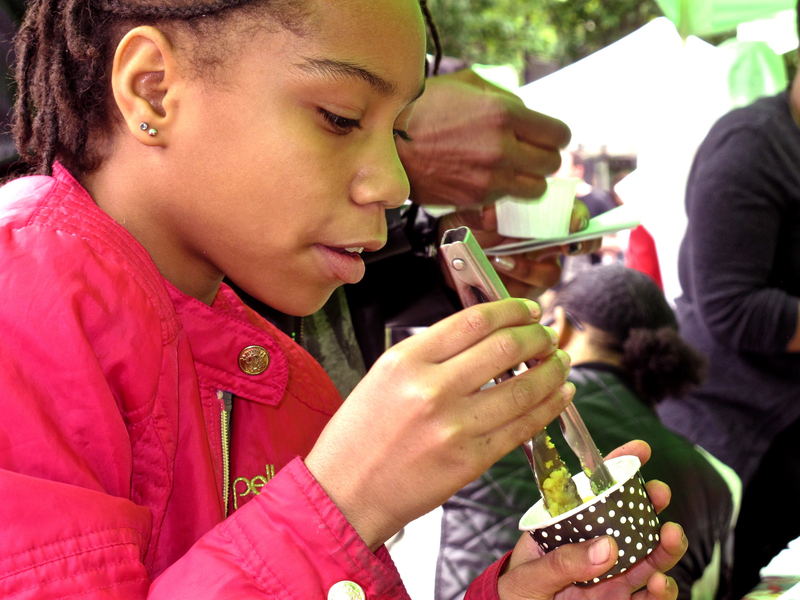 Our goal was to create a fun, immersive and inspiring experience like we did last year, that empowers visitors to adopt healthy habits, try their hand at growing and eating their own food, and understand other cultures through food. 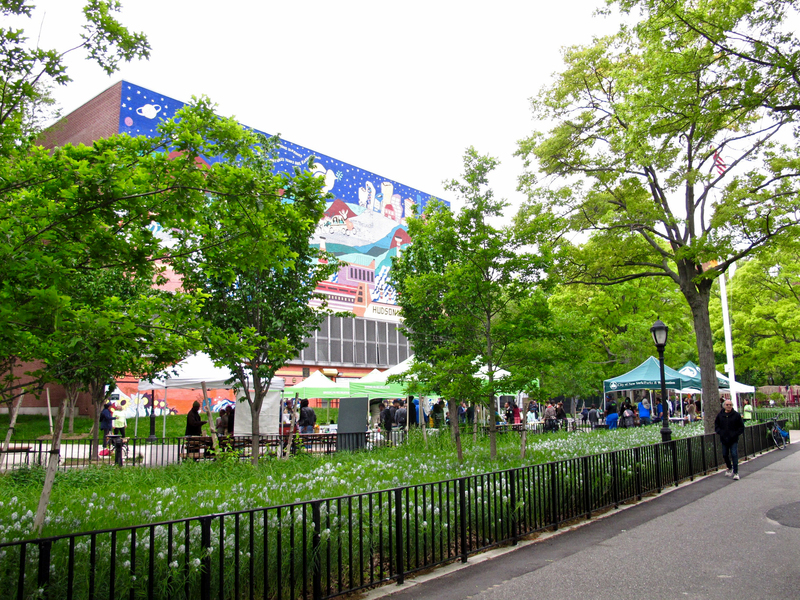 For more information on this event, please visit us on Facebook to learn more about that day and future events. 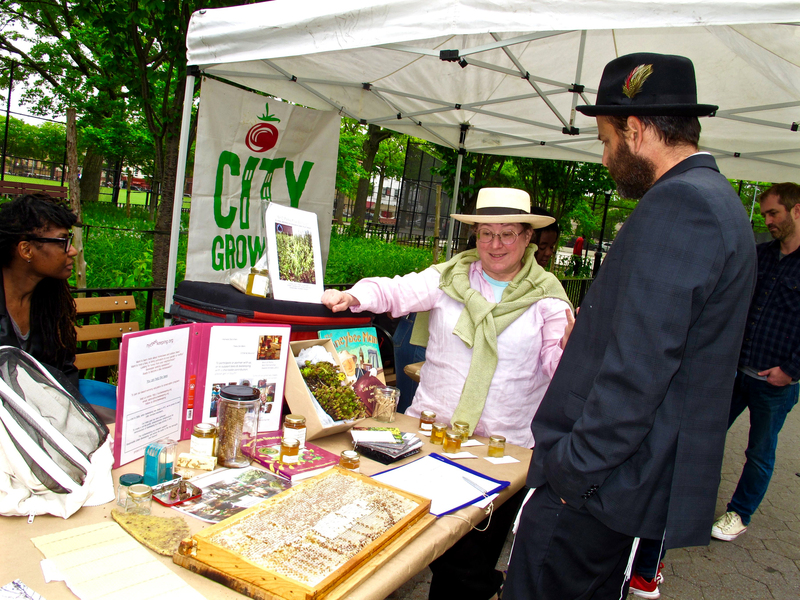 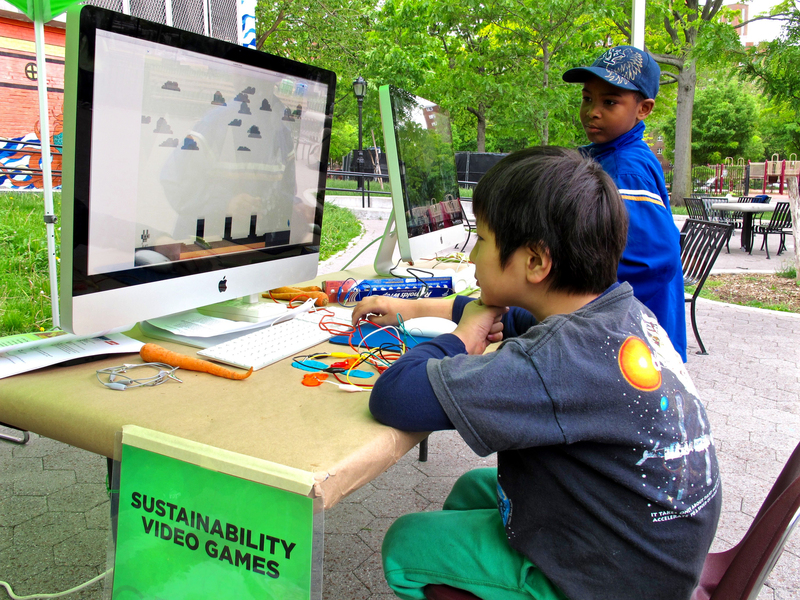 Categories: agriculture, children, cooking, food, greens, growing, health, organic, pollination, Uncategorized, vegetables | Tags: 1800Mills, AgatheBlanchon, AllergicToSalad, CitizensCommitteeForNewYorkCity, CityGrowers, CommonKnowledge, CrownHeights, FabiolaCáceres, FriendsOfGardenKitchenLab, GothamGrows, GreenThumb, GROWBrooklynFestival, ImaniGarden, makeymakey, NewYorkCityBeekeeping, NewYorkRestorationProject, NortheastBrooklynHousingDevelopmentCorporation, NYCCompost, NYCParksFiveBoroughGreenRoof, NYCParksMediaEducation, NYCParksUrbanRangers, RandallsIslandParksAlliance, RIFAsylum, SNAP, StJohn'sRecreationCenter, StJohn'sSeniorGroup, TheComputerSchool, UnitedNationsFoodGarden | Permalink.